We hate to say it, but Christmas is on its way. It hardly seems five minutes since the long hot summer then all the chaos of Back to School. But here we are in October already and it will be December before we know it. So why not make this year the one where you are prepared well in advance? Many of us think we don’t like Christmas, but a lot of that is to do with memories of lots of stress and hassle. If you leave everything till the last minute then that is bound to be the case. But preparing early can change all that. It can mean that you actually enjoy the festive season instead of rushing round trying to get things done. For many families this is the big one. Who is going to host, who is going where and when, and whose turn is it to get landed with the difficult guest that no-one really wants! Those kind of decisions often get put off because it can feel awkward, but really do need to be made now if there is any hope of getting on top of Christmas preparations. It’s important to think about what you would actually like to do rather than going along with everyone else’s expectations. So bite the bullet and get it sorted, otherwise things can drift on into the festive season and you are likely to end up doing the same old thing that you do every year and not really enjoying it. If you are hosting Christmas then you also need others to give you a clear idea of whether or not they are coming, as this is essential to the rest of your planning. December will soon be here and can be incredibly busy. So if there are things you want to do and people you want to see then get those arrangements in the calendar now, otherwise they risk not happening. Make sure you know when important family events are as well, such as school Christmas plays and carol services. Then build in time to get things done, such as food shopping. Why not book an online delivery which could be an enormous help: but make sure you book your slot very early as they will fill up well in advance. It may seem a bit excessive to plan so rigidly but when December comes you will be glad you did. Before you go any further you really need to work out how much money you have to spend. So make a list of absolutely everything – cards, presents, postage, food, drink, decorations – and allocate an amount of money to each of them. If you do not have enough money then you need to go through the list again and either cross some things off or reduce what you are prepared to spend on them. If the figures still don’t match and you need some additional funds then Loans2Go may be able to help. We offer a range of short term online loans which may be just what you need to tide you over the festive season. You can then pay it back in the New Year over a time period that fits with your budget. It is much better to work out a sensible budget in advance of Christmas and boost your finances as needed than overspend rashly and start 2019 in more debt than you can handle. If you start Christmas shopping now and aim to get it finished by the beginning of December you will feel so smug when everyone else is rushing around at the last minute! It also gives you time to choose things that people will really love, and shop around for the best deal. You can also take full advantage of online shopping with no worries about things not being delivered in time. If you’re after something specific then don’t forget the Black Friday sales in November. Do your research and you just might be able to pick up a real bargain. If you are focused on one or two items and are prepared to look around you are much more likely to succeed than if you are randomly trying to find just anything for anyone. For many people wrapping Christmas presents is a huge chore that they would rather do without. But you can reduce the impact of this by wrapping as you go along. Set aside a cupboard or shelf or box, and every time you buy a present wrap it, label it, and put it there so that you gradually build up a collection of completed presents. Also take advantage of gift wrapping if it is offered – many online companies do this, sometimes for free. If your present needs to be posted then also get it into its postbag, addressed and ready to go. If possible get it posted really early to avoid the December rush. You then have no worries about missing the last postage dates before Christmas. Christmas cards are another chore that many people hate. The first thing to do is to go through your Christmas card list to make sure that everyone is on it that you want to be, and that you cross off people that you don’t need to send cards to any more. This is different for everyone: some people don’t send cards at all now, preferring to donate to charity instead. Others post most of their Christmas greetings online. So you need to make decisions about which cards you do want to send. Then get your cards bought and written. Depending on the numbers you may want to do this bit by bit – eg one a day – or in one go. If you are doing them all at once then why not make it a bit of a celebration with some Christmas music on and a glass of something lovely to keep you company. You will enjoy it much more if you make an occasion of it rather than grudgingly scribble away when you’d rather be doing something else. If you have a lot of cards to post then make the logistics easier by printing address labels if you are able to do this – or perhaps someone could help you with this in return for you helping them with something. Also make sure you buy stamps well in advance to avoid the Christmas rush. And check when the last posting days are, particularly for those friends and family who live abroad. Now is a really good time to get on top of all those niggling little jobs that you know need doing. Because at Christmas we usually have more time at home, and if those jobs still aren’t done they could begin to annoy us and possibly spoil the celebrations. So make a list of what needs to be done and get all the family involved. Whether it’s decluttering, replacing light bulbs, fixing toilets, hanging curtains or cleaning the oven – start getting everything sorted now. Now is also a good time to start getting the house lovely and clean in time for Christmas. If you do not have a regular cleaning routine then start doing a bit of light cleaning – such as wiping kitchen surfaces or running the vacuum round – every day or two as needed. Also tackle one room per week for a deep clean. If you can start doing this now then by the time Christmas comes round you should be in pretty good shape and not having to deal with months of grime! Also if you will be having guests to stay over Christmas it’s never too early to start thinking about whether you need any advance preparation to make that happen. Things like buying extra bedding or towels, or clearing space in cupboards or drawers. Much better to do that now rather than be scrambling around at the last minute. If you can get your house in order by December then you are much more likely to enjoy decorating it for Christmas instead of being horrified by discovering so many other things that need doing once you start decorating! Good hosting doesn’t just happen. For any meals and parties you are hosting over the Christmas period it’s important to plan your food and drink well in advance, and get your shopping organised. Try to avoid having to shop on the day itself, because you will need time to prepare everything and also give yourself a chance to get ready and even relax for a while before people arrive. So set aside time to trawl through Christmas recipes and plan what you are going to make, then get shopping lists done and start getting organised. The other advantage of planning your Christmas meals is that you may then be able to prepare some things in advance. We all know at least one annoying person who has already made their Christmas cake! But we can follow their example and prepare some Christmas food in advance and freeze it. Also many dried goods can be bought in advance. So get ahead of the game wherever possible to reduce last minute hassle. Last but definitely not least is to enjoy yourself! Christmas is such a busy time that we often forget to relax and have fun ourselves. But we reckon that if you make the effort to do at least some of the above then there will be a bit of time left for you to fully enjoy the Christmas season yourself. 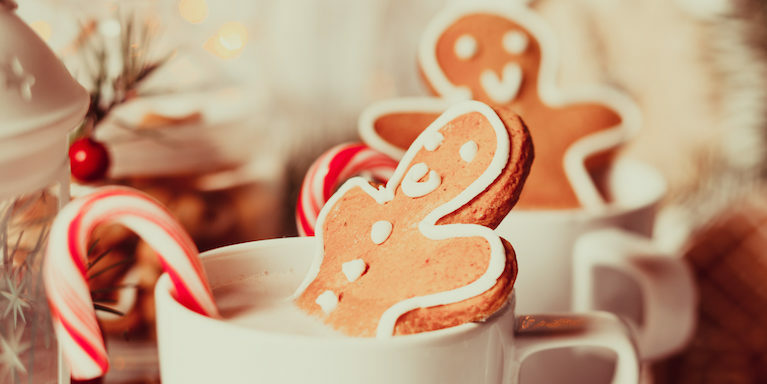 We hope that these Tips enable you to really enjoy Christmas this year. Remember that if you need some additional funding to see you through then Loans 2 Go may well be able to help, so do feel free to get in touch either online or by calling us on 0330 400 0403.